Rogue Trader space wolf army. Top to bottom left to right, Rhino, Razor back with Lascanons and Plasma guns, Long Fangs, Predator with Auto Canon Grey Hunters, Blood Claws, Castellan Robot and Iron Priest, Wolf Scouts, Wolf Guard in Terminator Armour, Sky Claws, HQ. The Imperial guard Castellan robot is from rouge trader and doesn’t currently have rules; but can be used as a Dreadnought with heavy bolters. 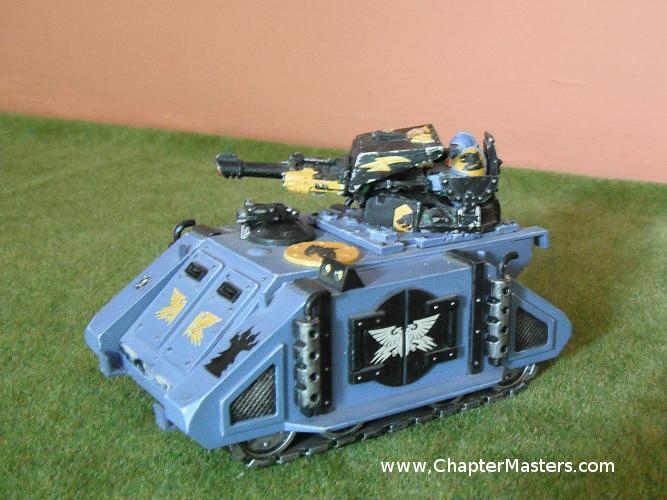 1995 Wolf Guard in terminator armour (Painted 1996). These old Wolf Guard Terminators date back to the end of Rogue Trader but still look great on the battle field. The new Terminators are bigger, have more dynamic poses and have the added advantage of being made of plastic but this is only noticeable if placed side by side with the old ones. If placed alone on the battle field these older terminators look perfectly acceptable. 1995 Wolf Guard in power armour and 1992 Space Wolf Captain. Painted between 1993 and 2010. The unit of metal wolfguard in power armour has taken me years to collect. Only the later Wolf Guard with twin wolf claws is left to be added. 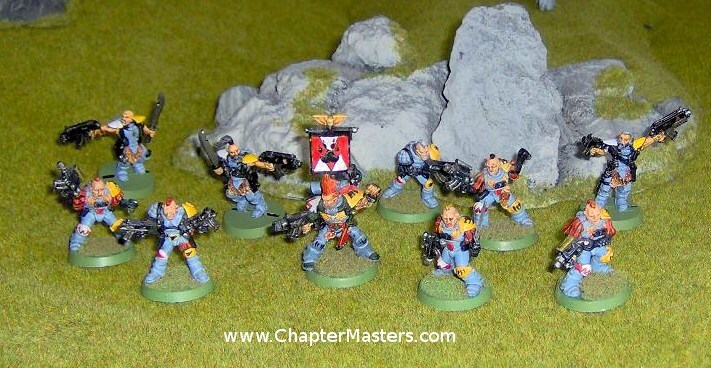 Space Wolf Scout Sergeant with Rogue Trader scouts and some 1998 space wolf scouts. 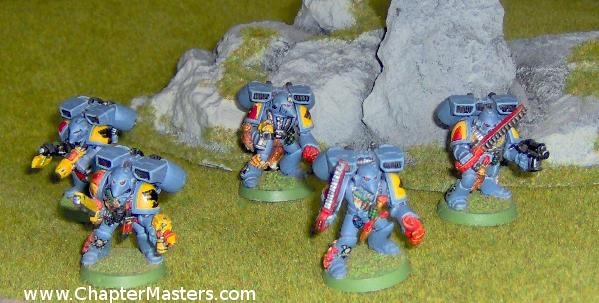 The first release of Blood claws took place right before 40k Second Edition, these models are there for though of as Second Edition Space Wolves. The Sergeant in this squad has been converted from a standard “strike force” space marine. The helmet has been chopped of and placed on the hip. The Power fist comes from the Devastator Sergeant. The Chain sword comes from a Chaos Marine. The Wolf pelt on the chain sword is from a Wolf Guard terminator. The head is from an old plastic scout. All other work of the model has been done with green stuff. There are 4 actually Blood Claw models and two old Mk 6 space marines. 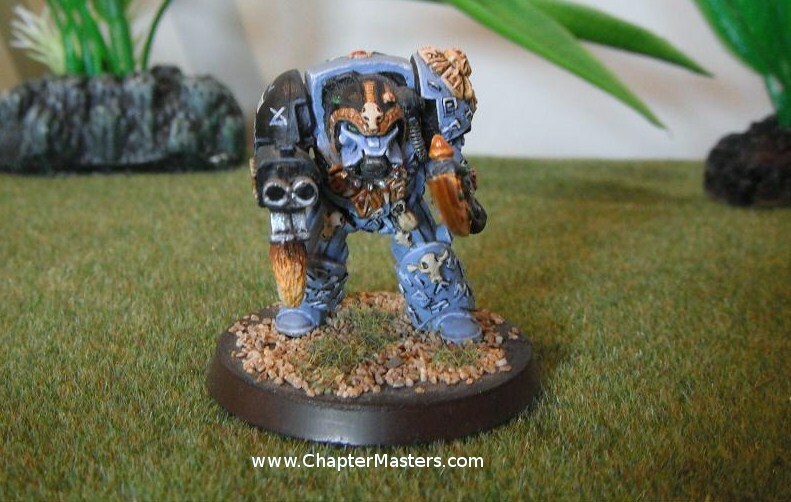 There were some rule for a Wolf Guard called Durfast in the old Space wolves codex who had a wolf helm. I have used the old Space Wolf Captain model as this model. 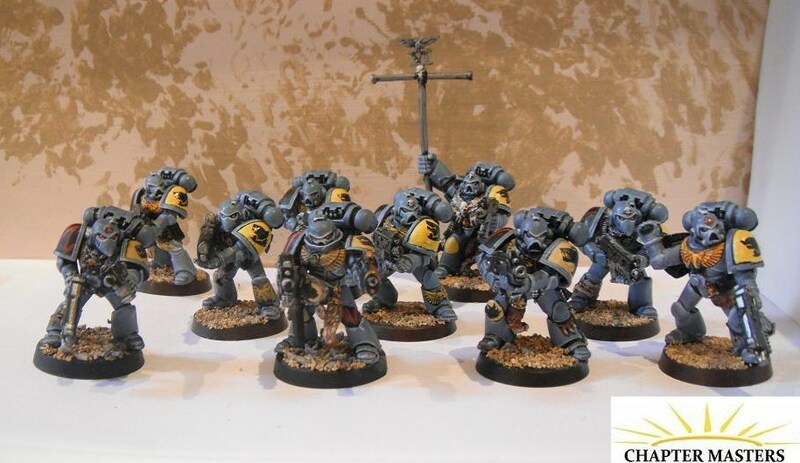 1993 Grey Hunters (Painted 2010-12). This pack is led by a Space Marine in Mk8 Power Armour. Parts of the current plastic Space Wolves pack have been used to make the old metal model a little more wolf like. The squad is armed wish a Power Fist and Plasma Gun, the pack leader has a plasma pistol. 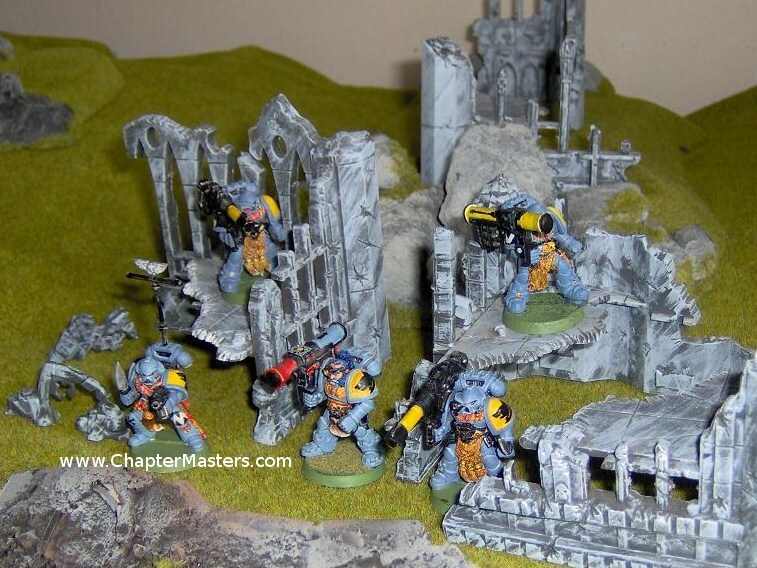 1988 Rouge Trader RTB01 plastic Space Marines (Painted as Space wolves Grey Hunters in 1994). This Mk 1 Razorback is made from the original plastic and metal kit the only thing that has been changed is the Bolter on top of the turret and repositioned headlight. The original hand rails and dozer blade are missing. The razorback has only had two kits produced. 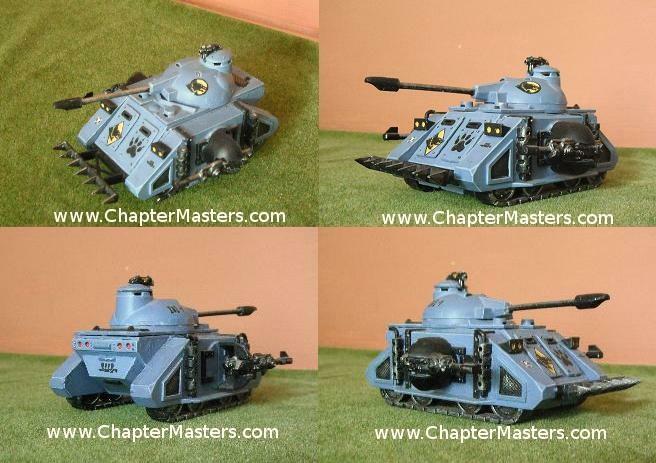 The current kit is complety metal and does not have a gunner on top of the tank. 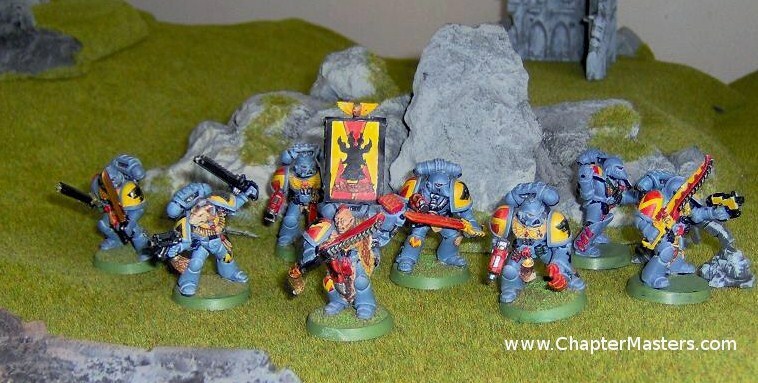 1993 Metal Space Wolves Blood Claws (Painted as Sky Claws in 1995). Four of these Sky Claws are made from standard metal Mk 6 blood claws the fifth is a Mk 7 metal Assault Marine which has been converted to have Mk 7 blood claw legs. The jump packs are the old metal packs from the Metal Assault Squad. This squad doesn’t fit with the current codex as it has two many Power Gloves. This Mk 1 Predator is made from the original plastic kit the only thing that has been changed is the Bolter on top of the turret. The original hand rails are not present. The Predator went through a number of redesigns over the years. The turrets and sponsors were changed to a squarer design. A round design was then used for the Las Canon armed Annihilator both kits used completely metal components. The current kit is completely plastic and uses the Mk 2 Rhino chassis. Forgeworld now sell a resin conversion kit to retro fit the plastic kit to the older design. These long fangs are from the from the 1st Long fang box set Games Workshop produced, right before the second edition of 40K. 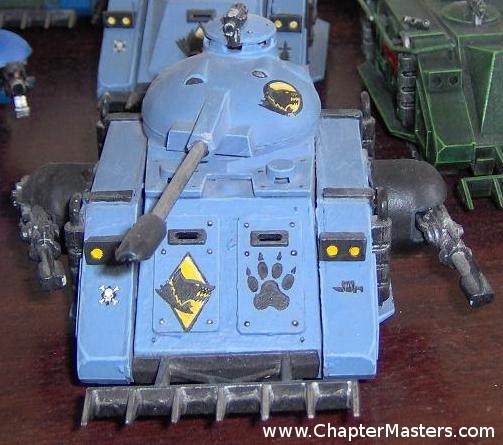 The Sergeant is an old blood claw model. Armed with two Missile Lunchers and two Las Cannons This squad can split it fire between two tanks or take out a tank with the las Canons and troops with Frag Missiles.